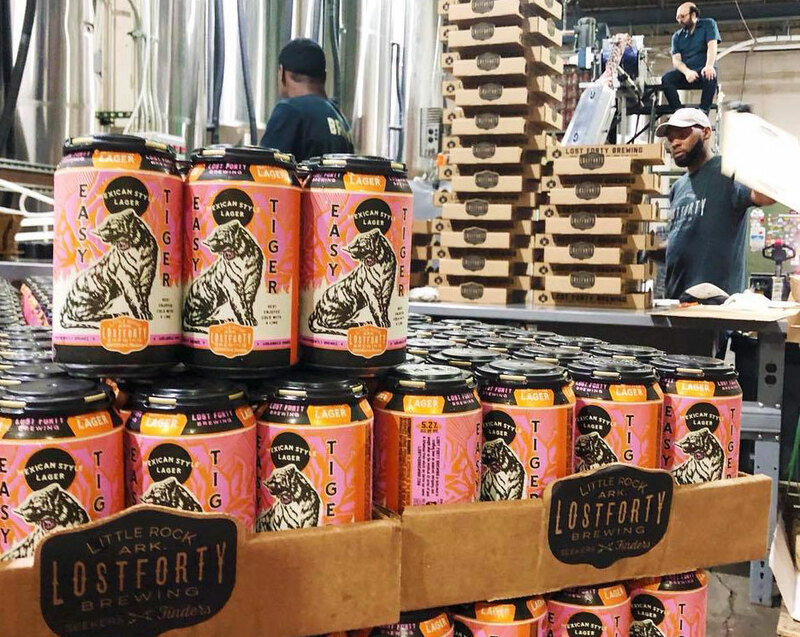 Lost Forty employees fill cases of Easy Tiger, the Little Rock brewery’s recently released Mexican-style lager. The Arkansas Alcoholic Beverage Control Division recently released its 2017 permit report, which indicates how many barrels the state’s breweries produced. The top brewer in the state last year was Lost Forty Brewing in Little Rock, which made 12,075 barrels of beer. Springdale’s Core Brewing Co. was second with 4,409, and Ozark Beer Co. in Rogers was third with 3,918. 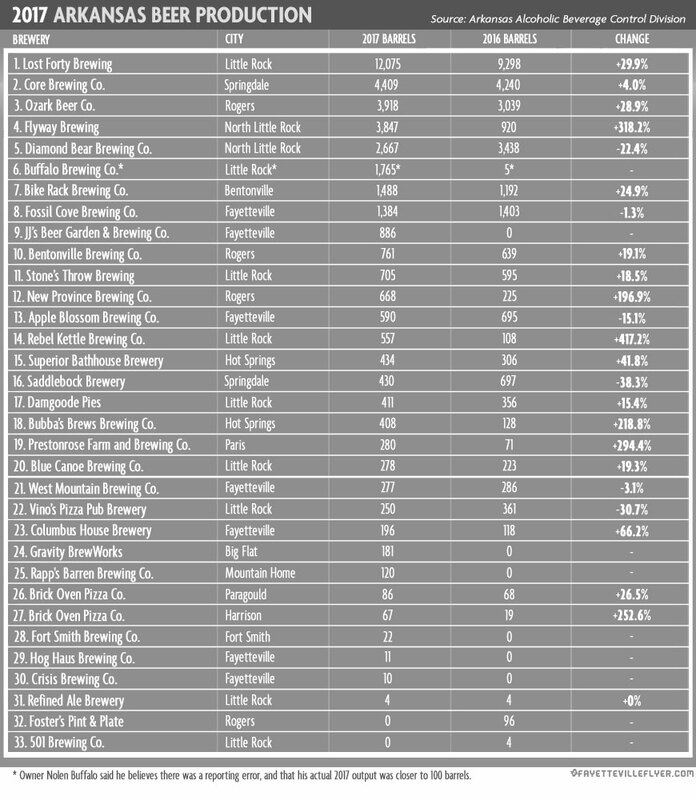 Other Northwest Arkansas breweries in the top 10 were Bike Rack Brewing Co. (7th place with 1,488 barrels), Fossil Cove Brewing Co. (8th with 1,384), JBGB (9th with 886), and Bentonville Brewing Co. (10th with 761). Most breweries in the state saw an increase in production year-over-year. Two notable exceptions include North Little Rock’s Diamond Bear Brewing Co., which saw a 22.4 percent drop in production, and Springdale’s Saddlebock Brewery, which experienced a 38.3 percent decline. 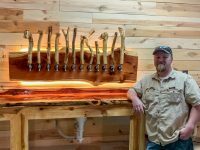 Flyway Brewing Co. in North Little Rock, on the other hand, saw production explode by over 318 percent last year, producing 3,847 barrels in 2017 compared to 920 in the year prior. Overall, Arkansas brewers made 39,186 barrels of beer in 2017 compared to 28,543 in 2016, representing 37.3 percent growth in state beer production. With expansion of several existing breweries and several more coming online this year, we can expect to see similar growth in next year’s report.